One of the many downsides of having over fifty-four mistresses in one’s lifetime is the fact that sooner or later, one mistress will begin behaving badly. Henry IV of France experienced this a couple of times in his life, but he never really learned from his mistake. An early example of a mistress gone spurned was Diane d’Andoins, also known as “the beautiful Corisande.” Diane knew Henry from way back, back when his greatest prospects were to remain King of Navarre. Historians debate when the romance cooled, but once Gabrielle d’Estrees entered the picture, Diane was on the wane. Not one to take the humiliation lightly, Diane cooled her heels until she could exact revenge on Henry for dumping her. Diane got her chance thanks to Henry’s only sister, Catherine. Poor Catherine had the bad luck to fall for her first cousin, the Comte de Soissons. Henry was furious with Soissons for going over to the Catholic side during the meeting of the Estates General at Blois back in 1588. 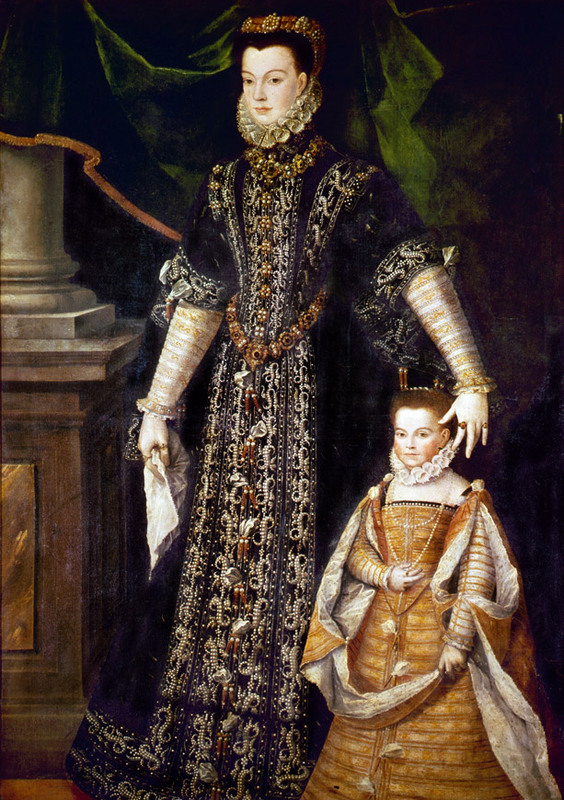 Despite the fact that he was now a Catholic, the strident Protestant Catherine still loved her cousin. Henry, on the other hand, was convinced that if the man betrayed him once, he would do so again. Henry flatly said no to the match. Enter Diane, who had a “solution” to Catherine’s heartbreak. Diane encouraged the princess to maintain her relationship with Soissons, including their frequent letter writing. 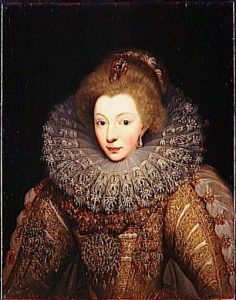 Catherine confessed to Diane that she had one piece of paper that trumped the King’s wishes–a written pledge to marry Soissons. Legally, this was as binding as a marriage contract. Diane saw her chance to wreck havoc and take revenge on the Bourbons. Arching her well-groomed eyebrow, Diane convinced Catherine to give her the letter, which would then be turned over to Henry’s minister, the Duc de Sully. Like Diane, Sully had been with Henry for years, since he was a Protestant from Navarre. Sully delivered the letter to Henry, who was furious. The king immediately destroyed the letter, but that wasn’t all that the king did. Henry was astute enough to see Diane’s hand in this, and he dashed off a letter to his discarded mistress. improper and injurious. I could not have believed this of you ! fact I have the honour, madame, to kiss your hands. Diane may have gotten her revenge, but she also earned the King’s anger. Henry never bothered to correspond with her again. A heartbroken Catherine never saw he beloved cousin again. Henry moved on with Gabrielle d’Estrees, leaving Diane in the past.